Futuristic styling. Hybrid power. Advanced interior design. And it's all wrapped up in a lightweight, fun-to-drive package. What a concept! 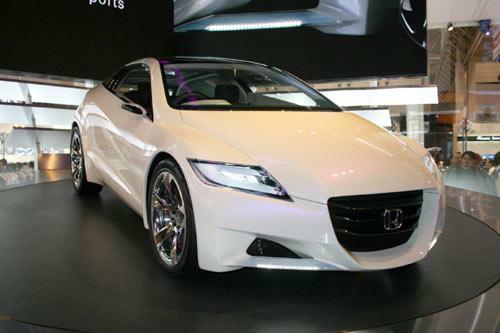 It's the Honda CR-Z concept, to be exact-and it's making its North American debut at the 2008 North American International Auto Show (NAIAS) in Detroit. Shorthand for "Compact Renaissance Zero," the CR-Z is a forward-thinking exercise in using inspired design and the latest technology to create a vehicle that delivers thrilling performance, as well as a reduced environmental footprint. See What Others Think of This CR-Z! We always like to keep current with new prototypes and rare models of cars and this new CR-Z is quite the versatile automobile! Looking forward to seeing what Honda comes up with next!